GWANDA-An Ex-Member of the Zimbabwe Republic Police formerly stationed at Gwanda ZRP urban Justice Musharu (27)who resides at house number 4572 New Stands, Beitbridgerecently appeared before Gwanda magistrate Nomagugu Ncube facing 6 counts of theft and five counts of unlawful entry at the houses of Gwanda urban police officers. 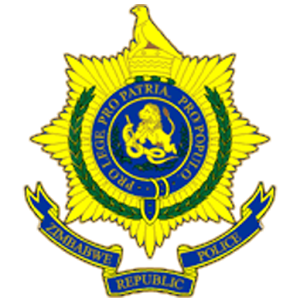 Circumstances surrounding the case are that on different dates between the month of September and October the accused invaded four houses atthe ZRP New camp houses stealing a monarch with clothes worth$247 ,32 inch plasma TV set and a phone worth $215,a sumsumg vodaphone phones, loaf of bread and a bottle of jam worth $303. At the old camp he stole a G-tel and a mobicel phone. Masharu went back to the new camp on the same mission and stole an LG DVD player worth $60. All hell broke loose on his last count if unlawful entry at MkhululiNkomo’s premises in Mess 1, ZRP New Camp on October 3,2018. The complainant, Nkomo who was asleep inside the room was awakenedby unusual movements and spotted the accused standing adjacent to the Plasma TV Set leading to his apprehension. Upon apprehension properties belonging to complainant on count 2 (Tsodza) and 8 (Mugeji) were found in possession of the accused. He confessed to having stolen all the above mentioned property and led detectives on indications on how he entered the rooms. For the 6 counts of unlawful entry into the premises he was sentenced to 4 years imprisonment, 1 year suspended for 5 years on normal conditions leaving him with 3 effective years. Forthe 5 counts of theft, each count had its sentence that is 24 months imprisonment, 4 months suspended for 5 years on normal conditions. The second count had 3 months imprisonment, all suspended on condition that accused restitutes complainant Rachel Gundani $237.00. The third count was given 3 months imprisonment, all suspended on condition that the accused restitutes Judith Tsodza $215.00. The fourth count had similar judgement, that is 3 months imprisonment which is suspended on condition that the accused restitutes Brighton Vimisai $270.00 and the last count was one month suspended on condition that the accused restitutes Tembelani Tshuma $3.00 on or before 30 October 2018.